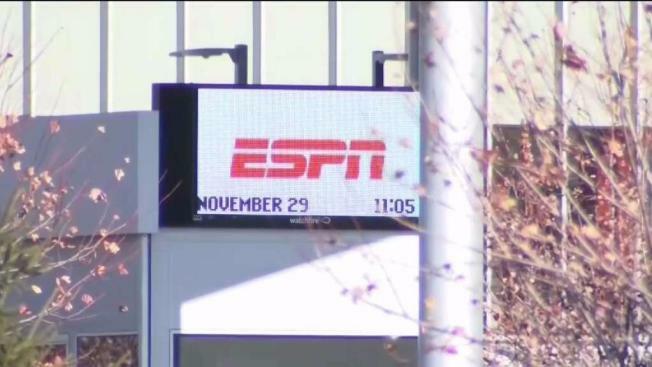 ESPN says it is eliminating 150 studio and production employees as the sports broadcasting giant continues to shift its focus to a more digital future. The company says the layoffs, which were announced Wednesday morning in a memo to employees, don't include on-air talent and will have a minimal impact on the network's signature SportsCenter news program. The company says it will grow its business in several key areas, including the planned launch early next year of "ESPN+", an app-based service that will allow viewers to purchase sporting events a la carte. The 38-year-old network has been squeezed by rising fees to broadcast live events. ESPN also has lost about 10 million subscribers during the past six years, based on estimates by Nielsen Media Research. The sports broadcaster has about 8,000 employees worldwide. ESPN laid off 100 employees in April, including some longtime on-air personalities.